Viewing posts with the tag Living History. Show all posts. 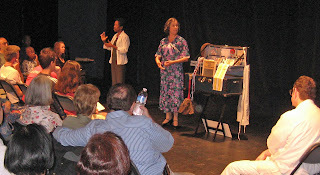 This Sunday, over 120 people of different ages, ethnicities, and religions showed up for our one-woman living history show Anna Shulman: Queen of H Street at the Atlas Performing Arts Center. It was a homecoming of sorts. The show takes place in Anna and Abe Shulman’s dry goods store at 1237 H Street, NE—a block away from the Atlas—during the Great Depression. It tells the heartwarming story of Anna’s life and of the H Street neighborhood. We were particularly thrilled that many nearby residents came to learn about their neighborhood’s history. In the picture you can see a Sign Language interpreter--several students and staff members from Gallaudet University came. Thanks to the D.C. Commission on the Arts and Humanities and the Shulman family for funding this free performance. 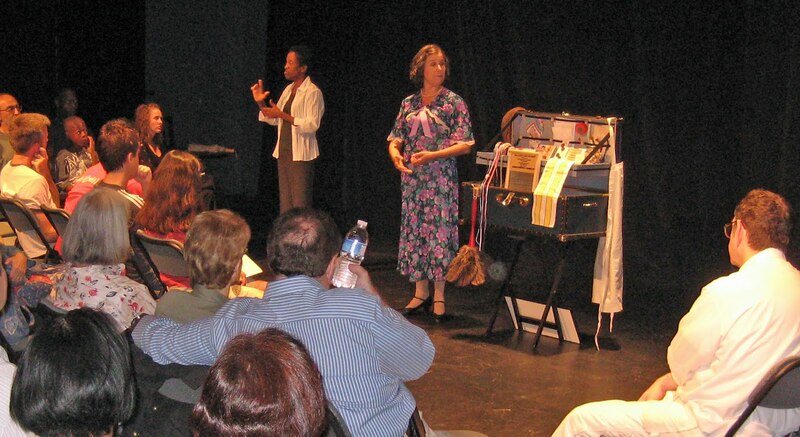 If you missed the show, you can always bring it to your school, synagogue, community group, or wherever -- learn more. And keep an eye out for a H Street walking tour in the future!